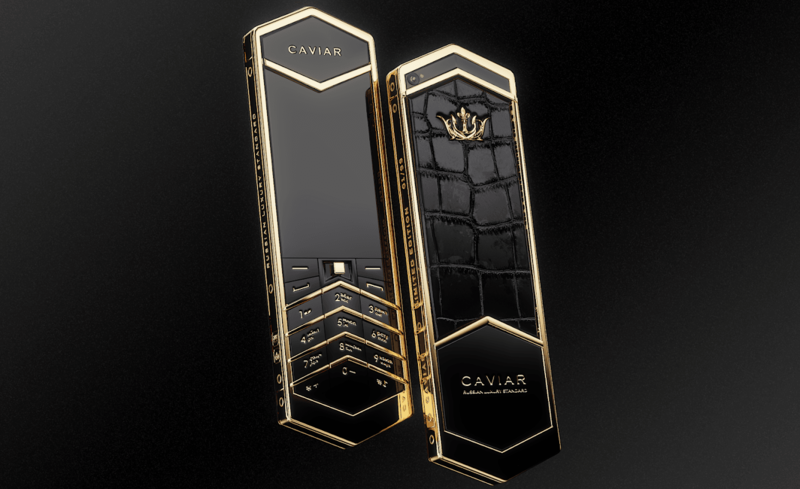 The Russian brand Caviar announced the release of two new luxury button mobile phones. Phones are called Tsar Phones and its design was inspired by canonical attributes of power – the imperial sword of the Russian empire and monarch scepter. Despite Caviar has acquired popularity as a brand of luxury designs based on Apple iPhone, the brand offers also a wide range of button mobile phones launched last year after Nokia have renewed its legendary model 3310. It turned out that phones with buttons – as a special form of nostalgia, as philosophy of returning to true values – are still admired and called-for. Today Caviar presents 2 phone versions. The first one is Caviar Tsar featuring radically new, elongated, hexagonal shape, hinting at centuries-old heritage of the Russian gun smithing – outlines of the state sword of the Russian empire that is now stored at the State Armory Museum. The model is embodied in two designs: classical – Caviar Tsar Gold – made of gold and leather (crocodile’s leather was used for creation of the sword’s sheath), and titanic – Caviar Tsar Titanium – expressively reproducing beauty and aesthetics peculiar to imperial cold weapon. Original shape was suggested by X-shaped design skeleton, vigorously directing the golden “arrows” towards each other, which makes the design even more charismatic, focused and catchy. Cases are made of steel or titanium, depending on the model, the screen is covered with sapphire crystal. Inside the phone, there is software meeting all modern requirements to phones of this class. 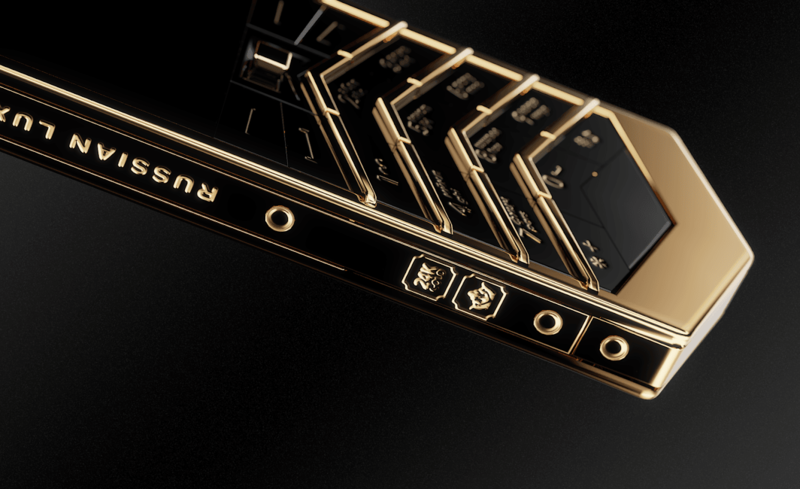 The second design — Caviar Tsar Heritage — is very recognizable classics of luxury phones industry, revived and “retold” in the Russian style of Caviar. 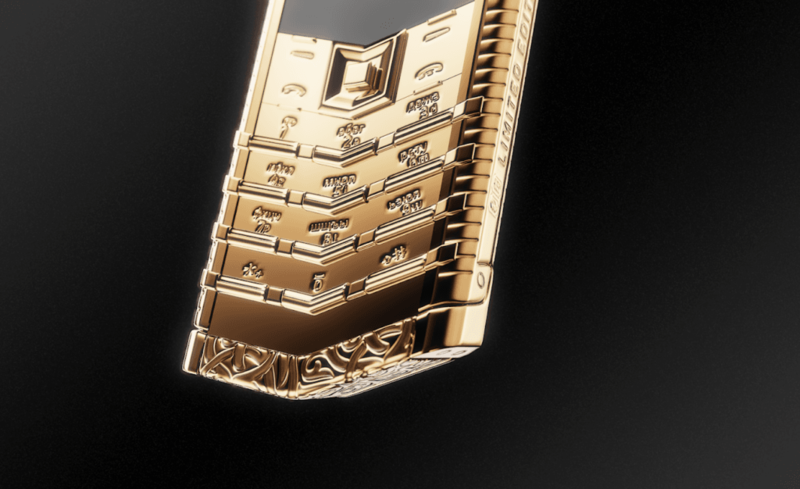 The phone design is based on engravings in national style and the Double-headed eagle. A gorgeous pattern covers the back of the case, on the front side the patterns cover the top and bottom of the phone, and the sides are decorated with relief notches. Two designs differ from each other in the basic case material. It’s a red composite stone with engravings in Caviar Heritage Red, and gold plating – in Caviar Heritage Gold. “Each of the new designs is an embodiment of classic luxury style that appeared at the beginning of 2000s and was pushed back by smartphones for a while, but as we know from our customers these phones are not forgotten and very desirable. We receive daily requests from our customers to revive this direction. Our customers insist that we must continue traditions of Vertu, so we made the design of the Caviar Tsar Heritage models so recognizable” – the brand’s representatives tell about the novelties.